I write extensively about photography -both photographic technique and aesthetics- about the business aspect of photography, and about photography as art. 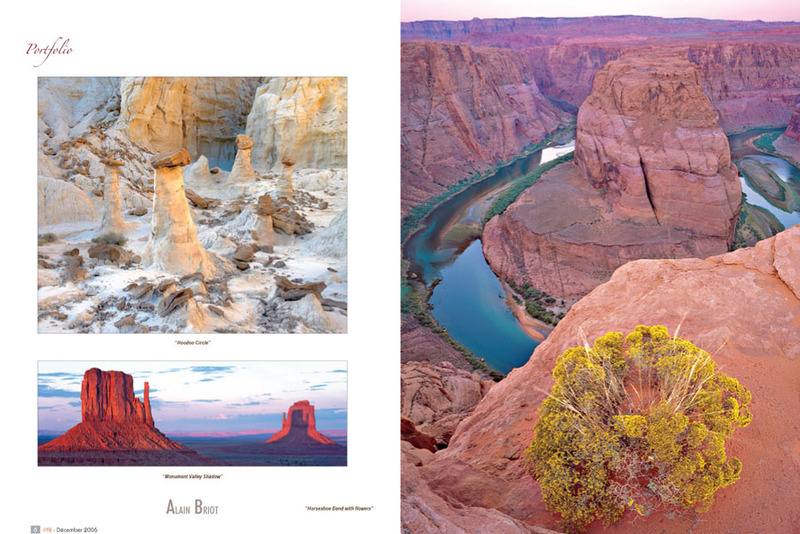 My writings and photographs are published both in print and on the internet. This is only a partial listing. This page features a partial list of essays and articles available on the web. Keep in mind that this is only a partial list of essays. I write year-round and this list is not updated regularly. A Rebel in Paris: A review of the Canon Digital Rebel, also called 300D, digital camera. 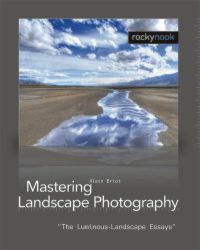 This series is now available as a book: Mastering Landscape Photography. You can order the book, signed, dedicaced and accompanied with a companion print, at this link. Part 7 - How to decide which photographs are"Keepers"
D - Thoughts and Photographs: a continuous series addressing many different aspects of photography related to art, creativity and more. Includes essays by students and contributors. See the Table of Contents for a complete listing of this series which features 49 essays so far. E - Craft and Technique: a continuous series addressing the technical aspects of photography. This series includes essays by students and contributors. See the Table of Contents for a complete listing of this series. News about my current activities such as presentations, new work, etc are regularly posted to my site as well as on outbackphoto.com and on luminous-landscape.com. New articles are being added regularly so check back often to discover the latest releases! 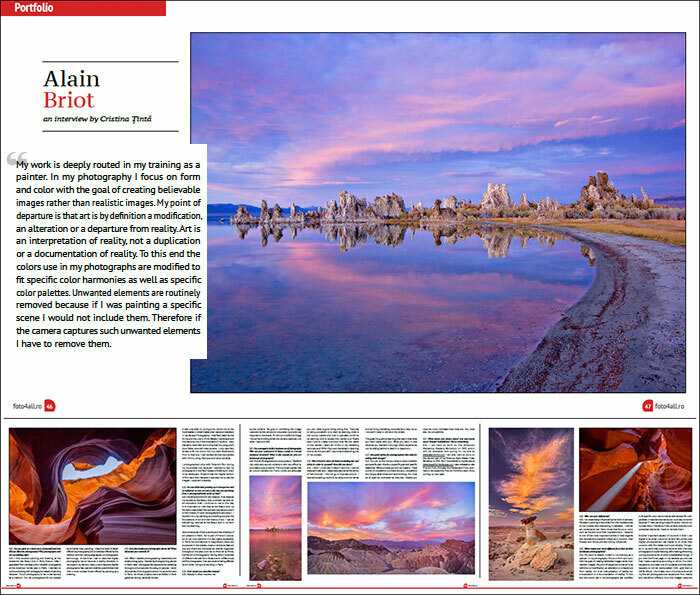 Both Luminous-landscape.com and outbackphoto.com are wonderful resources for photography. I strongly recommend visiting both sites regularly. I am interested in having my articles translated in other languages. If this sounds like something you want to do please contact me atalain@beautiful-landscape.com Your help is very much appreciated.